Zoll & Kranz, LLC attorneys have learned of a medical device recall affecting certain hip replacement components. Patients should be aware of a manufacturer recall of parts of the Smith & Nephew, Inc. Modular SMF™ hip replacement system and the Modular REDAPT™ revision femoral hip system. According to a letter sent by the manufacturer to doctors, including orthopedic surgeons, these medical device components are being removed from the market because adverse events are being reported at a higher than expected rate. Class 2 Device Recall specified by the FDA on January, 4, 2017 and initiated by Smith & Nephew, Inc. on November 15, 2016. 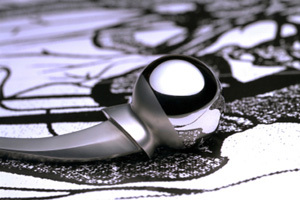 The metal Modular SMF™ hip system is used as part of total hip replacement and includes a hip stem and modular neck. The metal Modular REDAPT™ revision femoral hip system is used as part of revision surgeries, which are procedures to replace problematic or worn out hip implants. The manufacturer’s letter to doctors indicates that all lots of the modular neck hip prostheses, a common component in the Modular SMF™ and Modular REDAPT™ systems, are being removed from the market because of concerns regarding the performance of the products. The affected lots of modular necks were shipped between October 2008 and July 2016. The manufacturer is also removing the associated hip stems from the market as well. The letter recommends doctors monitor their patients for pain, swelling, limited mobility and enlarged bursa through their routine follow-ups. For patients displaying these symptoms, additional follow-up may involve tests of the blood metal ion levels and evaluation for soft tissue reactions. The manufacturer reports a worse case scenario of patients experiencing adverse tissue to metal debris and requiring revision surgery. Did you have a hip replacement between October 2008 and November 2016 and are now experiencing pain, elevated metal ions in your blood or are in need of revision? Contact us today, as our experienced medical device attorneys are currently investigating this recall and would like to hear from you if you are experiencing hip replacement issues and/or are in need of a revision. As always, we recommend you contact your healthcare provider for any health concerns or medical advice. Our legal team is prepared to take your call for a free case evaluation and if necessary, may be able to assist you in determining the brand of your hip implants. You can contact us via phone at 888-841-9623, live chat by clicking the chat live button, or a free case evaluation email message by filling out the form below.